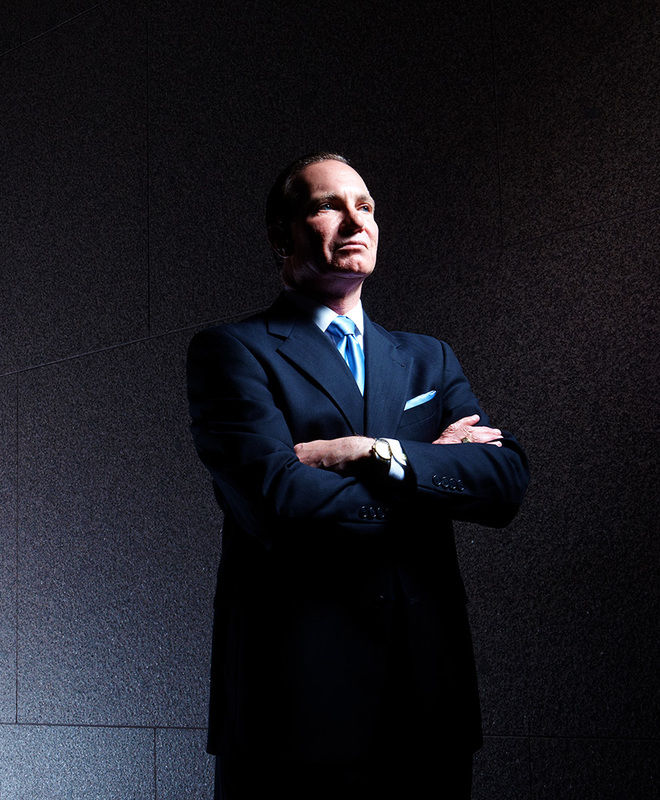 We put personality into corporate photography. 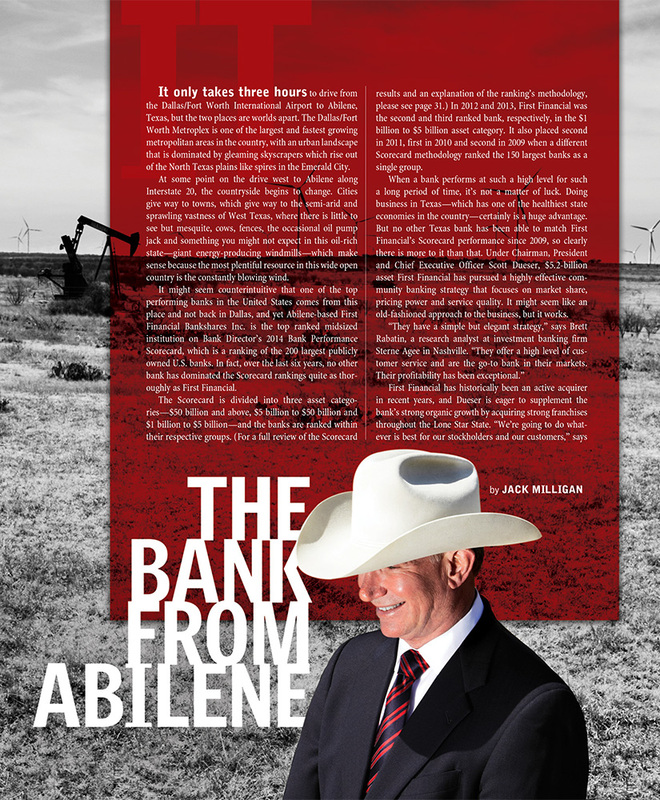 We were contracted by Financial Advisor Magazine to accomplish a series of portraits of the leadership of Abilene, Texas–based First Financial Bank. 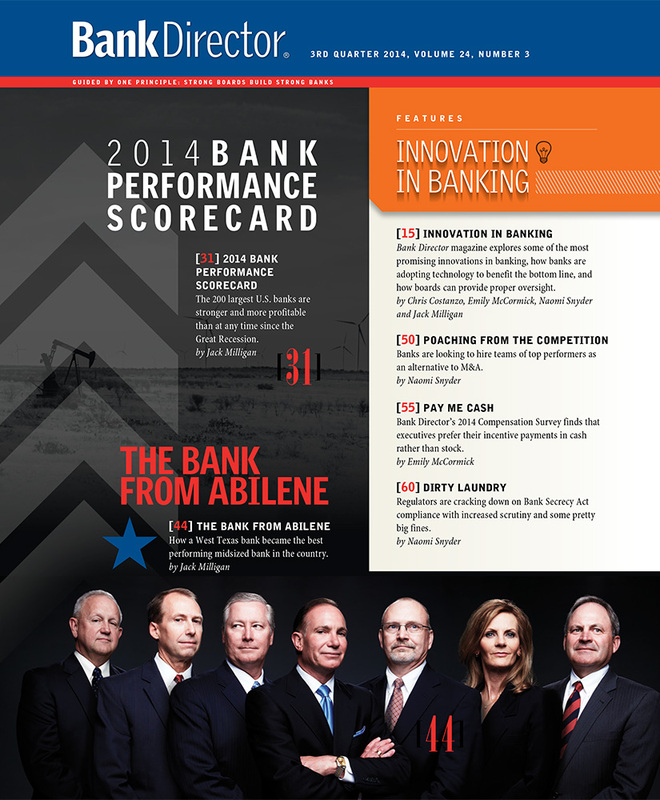 First Financial Bank has been one of the best-performing publicly traded banks in the country. 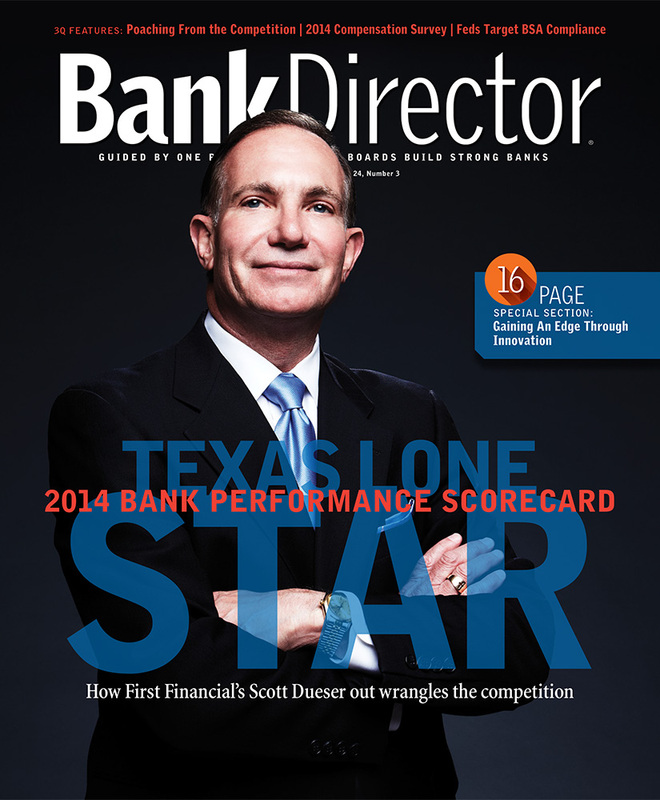 Our task was to travel to Abilene and accomplish cover photography of Scott Dueser and his team. We spent a day scouting locations and planning around the team’s busy schedule. The shoot went flawlessly, even considering last-minute changes to the schedule and team availability. With over 20 years of experience shooting corporate photography, it has become the heart of our business. We understand its importance. We make you feel and look great. We never leave without getting the picture you desire. Guaranteed!